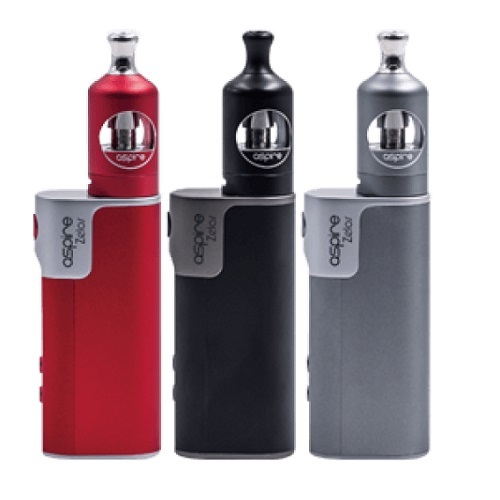 The Aspire Zelos Kit is a sleek and compact Vaping Device coupled with the all new and improved Nautilus 2 Tank. 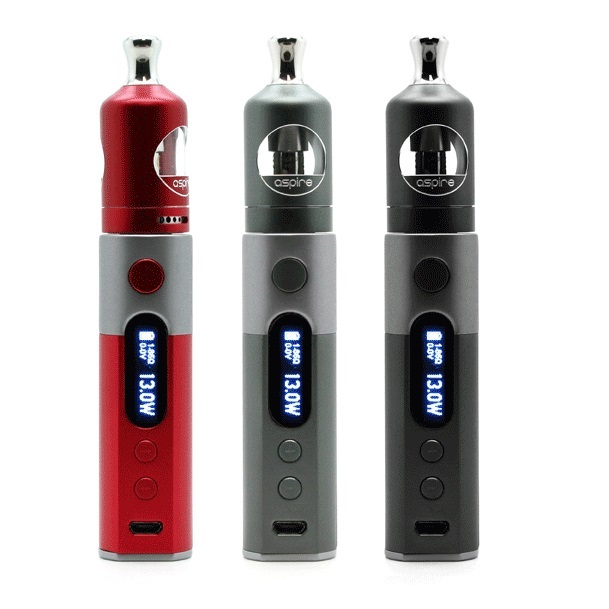 The Device itself is powered by a 2500 mAh built in battery, chargeable by USB cable included in the kit, giving you great battery life for a lower powered Mod. The Mod itself is capable of 50 Watts maximum output, delivering a smooth satisfying vaping experience that can also be used in Variable Voltage, Bypass or Temperature control modes. In Temperature Control mode you can select from Stainless Steel, Nickel or Titanium Coil settings and customize your vape with a temperature range of 100 - 315 Degrees Celcius. A vibrant OLED screen displays all relevant vaping information at the push of a button with a menu system simplistic and easy to navigate. Also in the kit is the superb new Nautilus 2 Tank with a 2ml E Liquid capacity, (fully TPD Compliant). 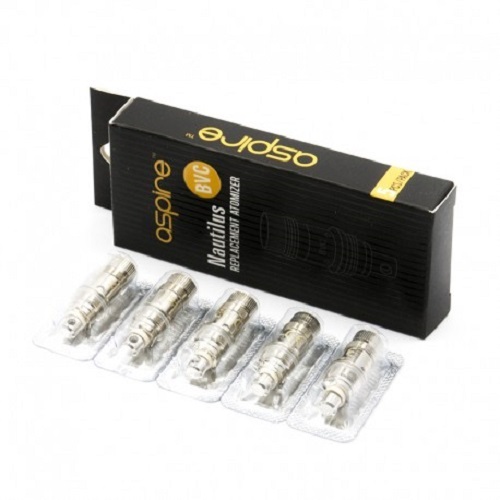 The Tank uses a Top fill system and adjustable Bottom Airflow equipped with a pre-installed 0.7Ohm Bottom Vertical Coil with a spare included in the kit. 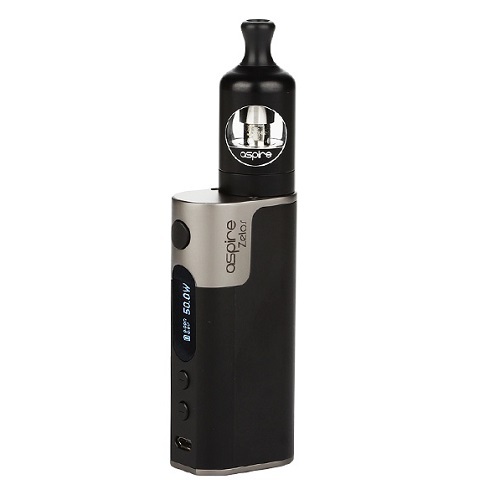 This device is ideal for a beginner but has also become popular with advanced Vapers alike. Aspire have once again released a superb Vaping Kit with great performance at an affordable price. To read and print a PDF file, you must have Adobe® Acrobat® Reader installed on your PC. You can download a version suitable for your system, free of charge, from Adobe. Q: My Nautilus 2 tank is leaking from the airflow. What am I doing wrong ? A: When you fill the Nautilus 2 tank, only fill it unto the top of the thread on the coil. Doing this will stop it overflowing into the center of the coil and out of the airflow holes. Q: Why do i have to keep taking the whole tank off the Zelos mod to refill it ? A: The Nautilus 2 tank is designed so you do not have to tighten the top down firmly. Just tighten the top of the tank with your finger and thumb, this enables you to leave the base on the Zelos when you refill. Q: Why is my Aspire Zelos screen displaying No Atomizer ? A: No atomizer usually means the coil needs replacing. If you replace the coil and your Zelos is still reading No Atomizer, take the tank off the mod and check the gold pin on the base of the tank is protruding from the threat by about 1mm. If the gold pin is not protruding from the bottom of the thread, remove the coil and from the inside of the base gently push on the gold pin with a pointed object until it is protruding from the thread about 1mm.